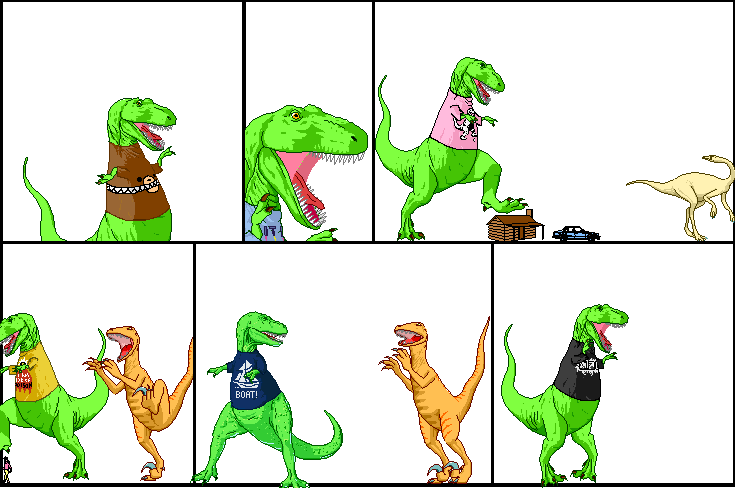 Dinosaur Comics - May 3rd, 2007 - awesome fun times! May 3rd, 2007: We beat France!! Woo! There are now more members on the Dinosaur Comics distributed computing team than there are on the team for the entire country of France. I'M SORRY, FRANCE. YOUR COUNTRY IS STILL PRETTY GOOD, FRANCE. MY COMIC HAS DINOSAURS IN IT, NATION OF FRANCE. I'm just kidding, France. You're alright! I like your cooking and wine. One year ago today: I HAVE NEVER BEEN SO FASCINATED BY ANOTHER PERSON'S PET.